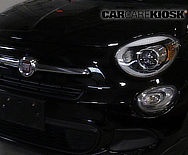 Fiat is an Italian car company that owns the following brands: Alfa Romeo, Chrysler, Dodge, Ferrari, Fiat, Jeep, Maserati and Ram Trucks. 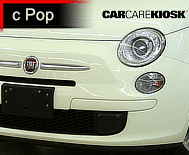 The Fiat Punto, Uno, Panda and fiat500 are popular European models. Fiat sold Fiat-branded cars in the U.S. in the 70s and 80s, with a reputation for unreliability and being rust-prone. In fact, many referred to the brand as an acronym for ‘Fix It Again Tony’ and the Company ceased selling cars in the U.S. in 1983. 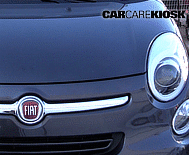 In 2009, Fiat acquired 20% of Chrysler LLC and now owns the company completely. The Ram 1500 and Jeep Grand Cherokee are offered with Fiat turbo-diesel engines and the Dodge Dart is based on a Fiat platform shared with the Alfa Romeo Giulietta. Look for more Fiat-based Dodge, Chrysler and Jeep products in the future as well as a growing array of Fiat and Alfa Romeos in the U.S going forward.